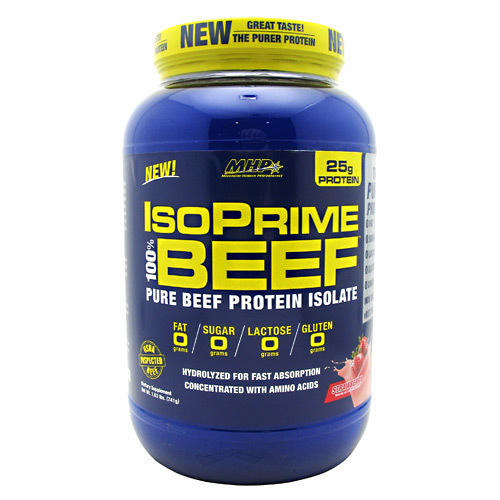 MHP IsoPrime 100% Beef Protein is a pure beef protein shake in delicious flavors for a better workout. Advertências: Keep out of reach of children. Store at 10-30° C (50-60° F). Protect from heat, light and moisture. Notas: No collagen or gelatin. Recomendações de uso: For a delicious protein shake, mix 2 scoops of IsoPrime 100% BEEF with 6-8 fl. oz. of cold water in a shaker bottle. Protein may foam after mixing.